Hugo de Oliveira e Silva has a family background in wine that stretches back for generations, his grandfather was a winemaker for Borges and his father was involved in the wine trade throughout his life. After first studying chemistry, Hugo went on to gain a degree in oenology, followed by a PhD in viticulture, keenly researching wine with a very scientific eye. But alongside his studies and research Hugo had put the theory into practice, gaining experience making wine in Argentina and South Africa, and in different regions of his Portuguese homeland. In 2011 he took up the position of winemaker at Pinalta in the Douro Valley, as well as consulting for other wine producers. 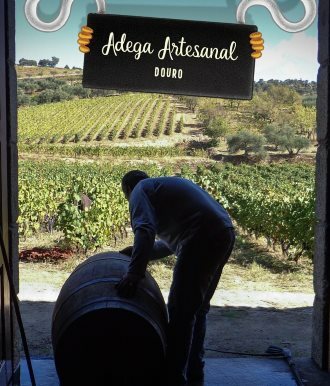 But in recent years has begun to produce small quantities of wine under his Adega Artesanal, or ‘Artisan Winery’, label. These are “modern wines produced in a traditional way,” focused on local Douro grape varieties, old vines, and working with growers sympathetic to his ambitions to respect terroir and tradition. The Boango label takes its name from the village in which the majority of vineyards are located – Boango, a word which appears to have its origins in equatorial African, though locals have no explanation for why this corner of the Douro is so called. The super-premium wine in the selection tasted below is Oficios, meaning ‘craft’, and made only in exceptional years, the most recent being 2013. Hugo’s wines are imported into the UK by Portugeuse specialist The Wineline, and those visiting my Festivals of Wine in Edinburgh and London in 2019 can taste for themselves on The Wineline’s stand. Even better, Hugo himself will join us in Edinburgh to present a masterclass that will explore the diverse terroirs and wines of the Douro Valley.